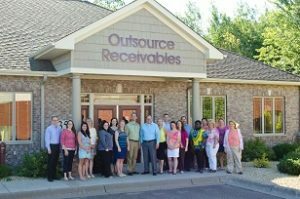 Local Medical Billing Company Tour in Minneapolis | Outsource Receivables, Inc.
Do you find that your office is spending significant time each day tracking down payments for the services that you provide? If so, we feel your pain! At Outsource Receivables, we’ve been providing our medical billing services to practices across the country for decades. We understand the complexity behind medical billing and how important an iron-clad process is to ensure payments are processed and handled efficiently and correctly. Too often medical offices are so caught up in the tasks required to merely meet the needs of their patients that they let important items like medical billing fall by the wayside. The problem with this approach is that you must run your medical office as a business or else run the risk of running into major problems that could end up forcing you to close your doors and not be able to serve the patients that you’ve grown to love. 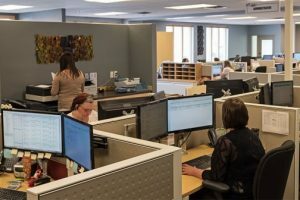 We thought it would be a good idea to invite potential clients to our office in Minneapolis to get a sense of the detail with which we focus on providing our outsourced medical billing services. We’re confident that if you came in to our offices, you would instantly see how committed we are to our clients. When you set foot in our office you’ll see that we have dedicated employees focused on each aspect of the medical billing process. This includes employees who are working with medical offices to track down denials while efficiently coding various medical procedures, individuals working with insurance companies to expedite payments and many other tasks that are incredibly vital to your medical office getting paid accurately as well as on time. At Outsource Receivables, we’re able to complete most medical billing tasks at scale, much more efficiently and cheaper than you could ever do with your own staff. To replicate our system, you would need to hire multiple people, which means increased salaries, benefits, time management, etc. Once you do find a good team that’s efficiently running your medical office, what happens then? Chances are, they’ll realize their worth and either ask for substantially more money, or go elsewhere and you’ll be left to pick up the pieces and start over again. 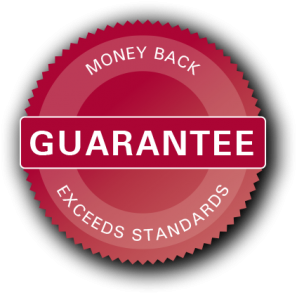 By working with Outsource Receivables, you receive consistent results all backed with a guarantee! We guarantee that we’ll save you at least 15% compared to what it would cost you to run your own medical billing office. These savings can allow you to grow your practice, or just simply sit back and relax and enjoy the fruits of your labor. Another massive benefit of outsourced medical billing is that we can grow as you grow. Let’s say 2019 is a banner year for you and you grow by 100%! Great, we’ll be there for you. More importantly though, let’s say a few years from now, we hit a recession and your practice flounders a bit. Rather than having to pass out pink slips to all your new employees, you can simply let us know and we’ll scale back your medical billing. This way you’re able to instantly scale your business based on market conditions, which can help you to remain profitable in both prosperous and lean times. This ability to scale can mean the difference between survival and going out of business depending on external market forces. We hope that you’ll take us up on our offer and schedule a tour in our Minneapolis medical billing office. We’ll be happy to walk you through our facility to show you how a claim makes its way through the different departments in our company and ultimately back to your office as a deposit in your bank account, which is what it’s all about, right? Feel free to give us a call today at 866-585-2800 to schedule a local medical billing company tour with one of our staff members. We look forward to meeting you soon!